Hogarth’s Wildlife and Animal Removal specializes in Mice removal. In recent years we have noticed an increase in mice and rodent populations in the Northern Michigan area. 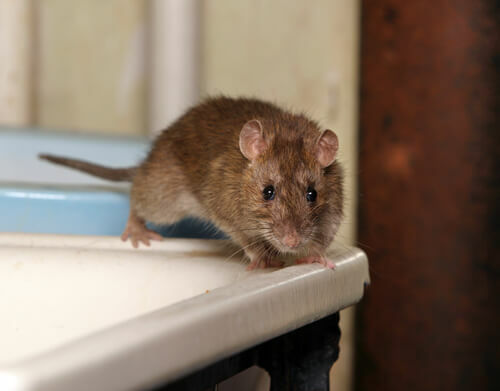 We generally deal with four types of mice in our area: white-footed mice, house mice, deer mice, and field mice. White-footed mice are nocturnal and will enter a structure(s) through the corners, dormers, and sometimes the ridge vent. People generally assume there is a squirrel in the attic, when really it is the white-footed mouse. Deer mice, field mice, and house mice enter the structure(s) at low points through crawl space doors and vents or underneath garage door seals. Mice have been known to gnaw and chew into virtually any structure including homes, cabins, restaurants, hotels, factories, nursing homes, hospitals, food processing plants, commercial kitchens, RV’s, air conditioning units, heat pumps, outbuildings, and airplanes causing damage. They will then urinate and defecate inside causing a variety of health issues such as salmonellosis and hantavirus. In addition to health risks, mice also pose problems to metals, electronics, and wiring, all of which are fire risks. We only bait rodents from the exterior of the home. Baiting on the interior is extremely unsafe for small children and pets. It’s a common misconception that baiting on the interior will cause the rodent to search for water and leave the home. Most of the time, when a mouse consumes bait on the inside of a home, it will die inside of the structure. Dead rodents on the interior can lead to green bottle flies, diseases, and an awful smell. It is an important job for a licensed wildlife professional to use HEPA filter vacuums, personal protective equipment, disinfectants, and sanitizers to properly complete the job.